Your first visit to Looking Glass Foot and Ankle Center, PC establishes a vital foundation for the patient/doctor relationship. We offer extended visits for patients on their initial visits so we can obtain a thorough medical history and other important background information. Our initial visits afford patients plenty of time to get to know your podiatrists and develop effective treatment plans. To understand what to expect from your first visit to our practice, please read through this page. You’ll find all the practical information you need, such as practice hours, payment policies and an interactive map and directions to our office. You can save time by printing out and completing the patient forms prior to your appointment. Our practice is working together to realize a shared vision of uncompromising excellence in podiatric medicine. To provide our patients the best possible compassionate and comprehensive care for all their foot and ankle needs. Being well-prepared for your appointment will ensure that the doctor has all of the needed information to provide the best possible care for you. It also will help relieve any unnecessary anxiety you may be feeling. Educate yourself on your symptoms by reviewing the content on this website. 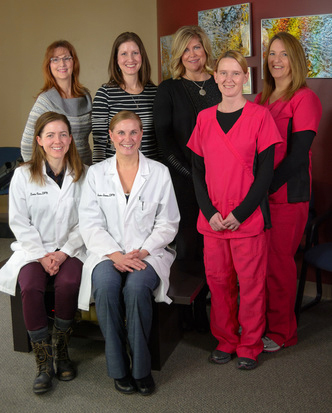 Also, take some time to review our staff page and familiarized yourself with the doctors. We look forward to your first visit. Our team of specialists and staff believe that informed patients are better equipped to make decisions regarding their health and well-being. For your personal use, we have created an extensive patient library covering an array of educational topics. Browse through these diagnoses and treatments to learn more about topics of interest to you.